Niobium addition to base alloy significantly reduces the formation of deleterious phases, in particular, sigma phase when the material is sensitized at 900 °C. 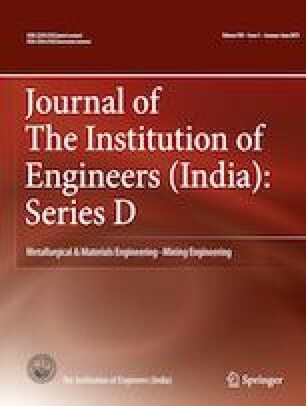 In this paper, hyper-duplex stainless steel with 0.47% of Niobium (Nb + CD3MWN - 7A) was casted using induction melting furnace and then heat-treated under two different heat treatment temperatures of 1160 °C and 900 °C to explore the properties such as microstructure and hardness for further study. The erosion test was carried out in air-jet erosion tester at room temperature with different erodent velocities. The study was done with a constant impact angle of 45°. Microstructure analysis was carried on two different heat-treated samples as well as on eroded samples using scanning electron microscope coupled with energy-dispersive analysis spectroscopy to confirm the presence Niobium carbide precipitation in sensitized sample at grain boundaries. Erosion test results showed that erosion rate is lower in sensitized sample when compared to solutionized sample because of their higher hardness in sensitized sample.